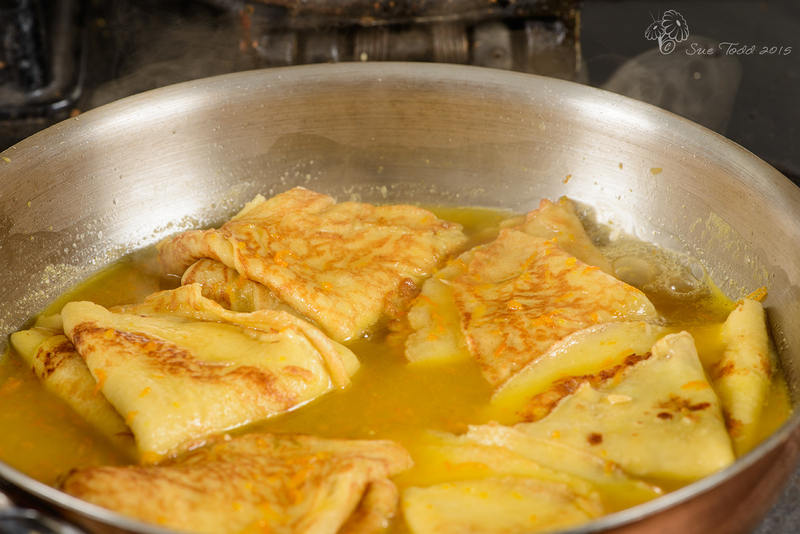 Pancake day falls mid citrus season, so if you’re feeling the need to get your citrus fix, then crêpes suzette fits right in this month and it does make a lovely change once in a while, so if not for pancake day, then maybe for another special occasion or treat? Ingredients for Crêpes Suzette © Sue Todd 2015. Pop some serving plates to warm before you start. 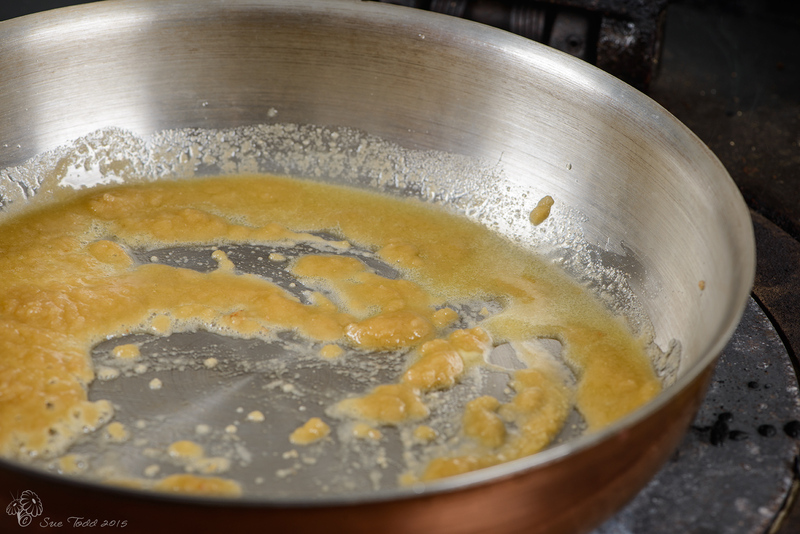 Keeping your pancakes warm to one side, melt the butter in a heavy based pan. 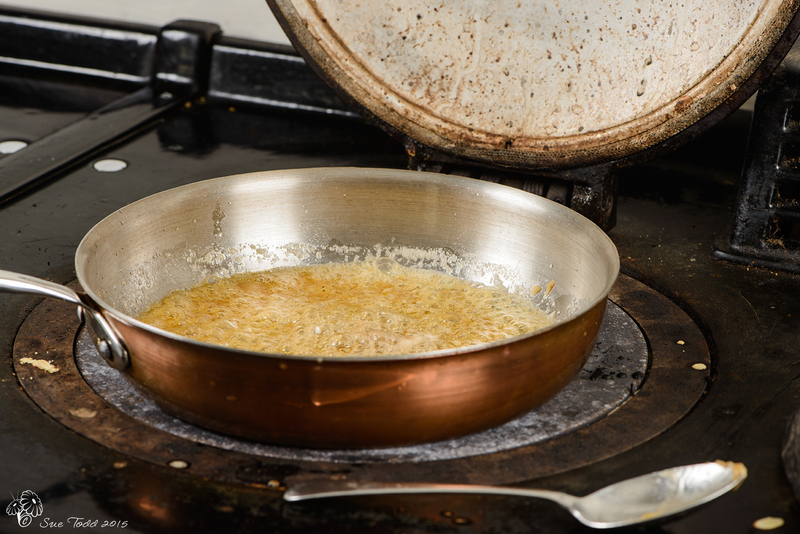 Add the sugar to the melted butter and when it begins to melt into the butter, add your brandy and flambé it. That means fling the brandy in the pan, strike a match and let it burn off – don’t let children do this bit, and do stand back a bit if you’re not used to doing it, eyebrows can take a while to grow back in! But it is fun to do. Add the orange and lemon juice along with the orange zest and Cointreau (if using) and reduce the mixture a little in the pan. Add your crêpes (or pancakes!) and cook gently until heated through. 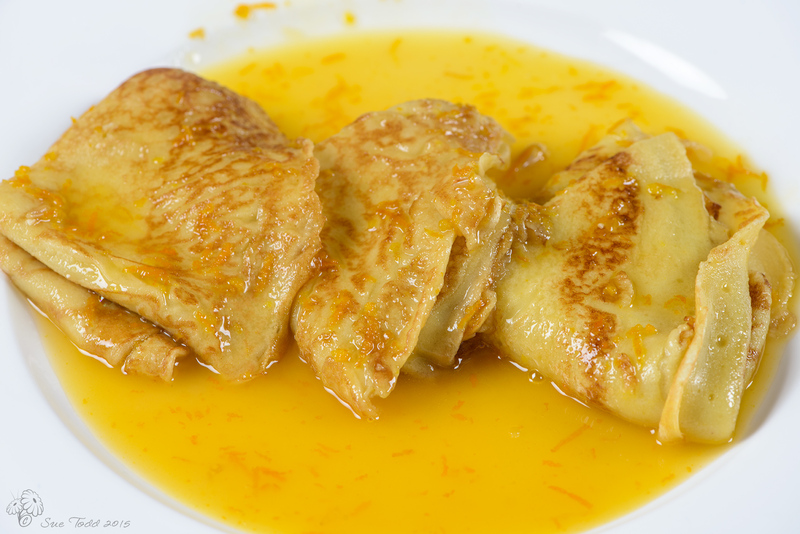 Serve on warm plates and enjoy Crêpes Suzette, an oldie that’s still good.. 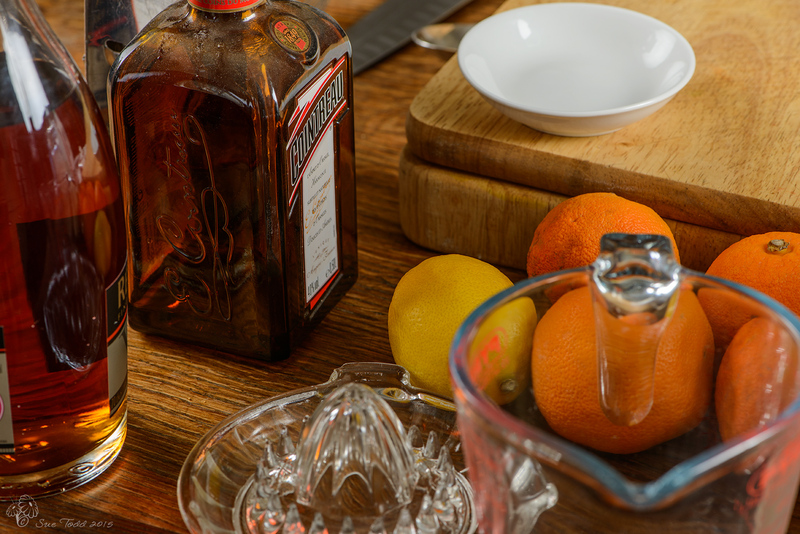 In an ideal world we’d have done an orange liqueur to use, but that’s for the future. However you don’t have to have normal pancakes/crepes made with wheat, you could simply use gluten-free flour, or you could use grain-free pancakes such as those in our banana pancakes or our grain-free ones (which I nearly forgot to publish!). So if the special people in your live can’t eat gluten or wheat then they don’t have to miss out on having and enjoying Crêpes Suzette!